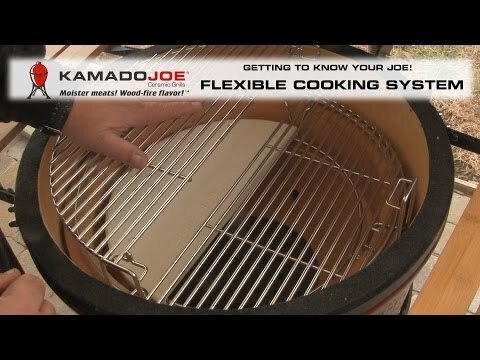 The Kamado Joe Divide and Conquer is a revolutionary, multilevel half-rack design that allows you to mix and match cooking surfaces in endless combinations to suit any need or style of cooking. This grate is made from extra thick, laser cut stainless steel. The smooth surface is excellent for cooking delicate fish or vegetables. For use with Big Joe 24 grills.